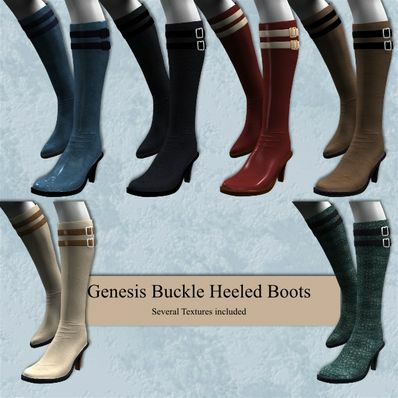 Buckle Heeled Boots for Genesis for use in Daz Studio 4. Thanks. Need boots that won't mix too much with pants and tights. This should hopefully do. Wow i was looking for shoes i now i found so many. Thank you so much. Nice job on the boots, could always use foot ware. Thank you much.